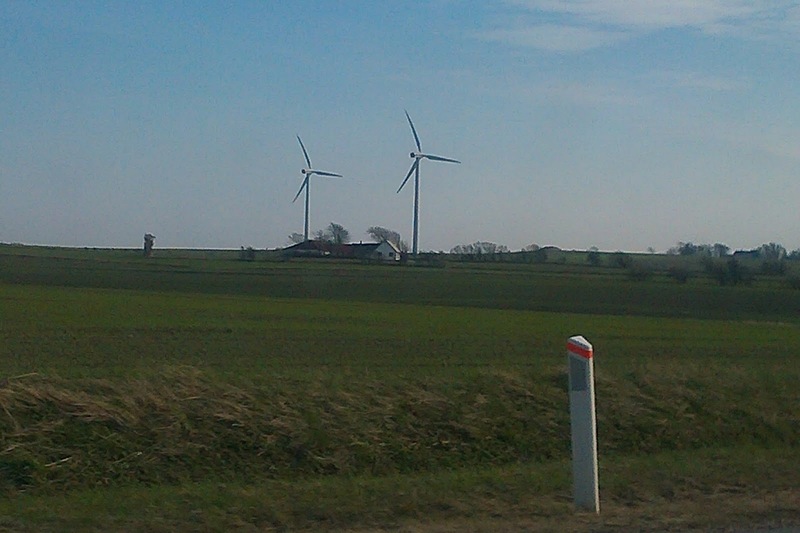 Two wind turbines spinning at a farm in Northern Jutland, Denmark, April 2013. A trip up and down the British countryside will quickly tell you that, unlike Germany and Scandinavia, onshore wind power is mainly seen in the shape of wind farms; you’re less like to see a series of single deployed wind turbines owned by farmers or more evenly spread across agricultural land. If you have ever wondered why farmers are not investing in renewables like on shorewind, then a new report might be able to give you some answers. As we have seen in the UK a strong movement against wind farms in particular and often we hear about the German and Scandinavian model and why we just can’t be like them. I would encourage government policy makers as well as renewable and big energy companies to take a trip over the North Sea and witness what they’re doing right. They will soon realise that the UK’s approach to renewable energy and wind in particular, is wrong and we are not doing enough to stimulate farmers to invest. Part of the problem also lies in the planning system, where planning submissions can stay in the system long before it even gets tackled. Part of this is that we think too big, we need to think small and big at the same time. Witnessing the vast amount of onshore wind in Denmark and Germany, one thing is evident – even though you have the odd wind farm here and there, it’s a lot more evenly spread out and farmers own a large portion of the turbines as most farms have wind turbines deployed on them and they also go hand in hand with the agricultural land. Deploying 3 or 4 wind turbines on a farm does not stop that farmer growing the same amount of crops, but taking over the whole farm to build a wind farm does. Furthermore the public would be much more likely to oppose a wind farm than 3 or 4 turbines, and if the public were given a chance to invest in those turbines the opposition again fades away. It’s absolutely evident that the model deployed in Scandinavia and Germany is working, policy makers and renewable energy companies in the UK need to take note and apply the same methods. We need to realise that to fulfill the massive potential we have in the UK for onshore wind, we need the farmers on board. We need renewable energy companies to realise to work with farmers instead of prioritising working with the big six energy companies that dominates the UK energy market, that way we will get both a fairer energy market but also take a giant step towards moving more towards a decentralised energy structure.